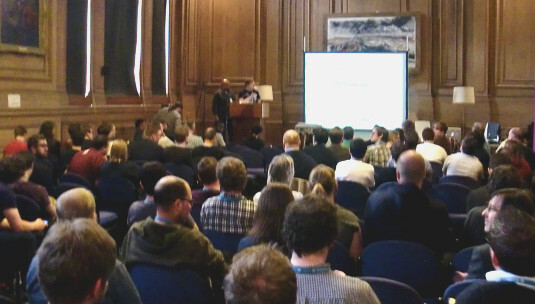 I attended WordCamp Sheffield 2014 in the imposing University of Sheffield Mappin Building on Saturday 26 April 2014. Theme development workflow from start to finish – Jonny Allbut gave practical advice on developing bespoke themes for clients. The challenges of running a multi-author blog – Samantha Deakin outlined running the University of Sheffield Enterprise blog from the content editors point of view. How do I know if my WordPress website is accessible? Graham Armfield showed 16 tests to ascertain the accessibility of sites. Tips for front-end performance in WordPress – Ian Parr gave an entertaining session on improving front-end site efficiency. Social media law – Peter Wright detailed the many legal implications of posting online. Keynote – Mike Little summarised his journey from being WordPress co-founder to the present day running zed1.com; this was followed by an interview with Kimb “Paxman” Jones. Many thanks to Kimb for organising an excellent conference.